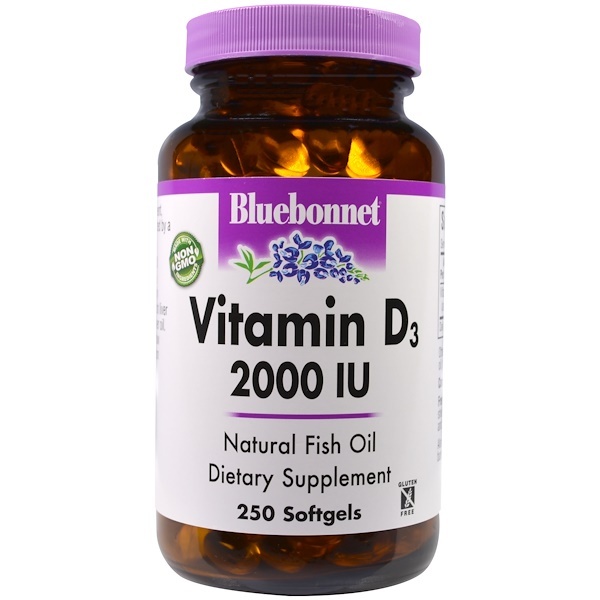 Bluebonnet's Vitamin D3 2000 IU Softgels provide pure vitamin D3 (cholecalciferol) from molecularly distilled, deep sea, cold water, fish liver oil in a base of non-GMO safflower oil. Available in new, easier-to-swallow softgels for maximum assimilation and absorption. 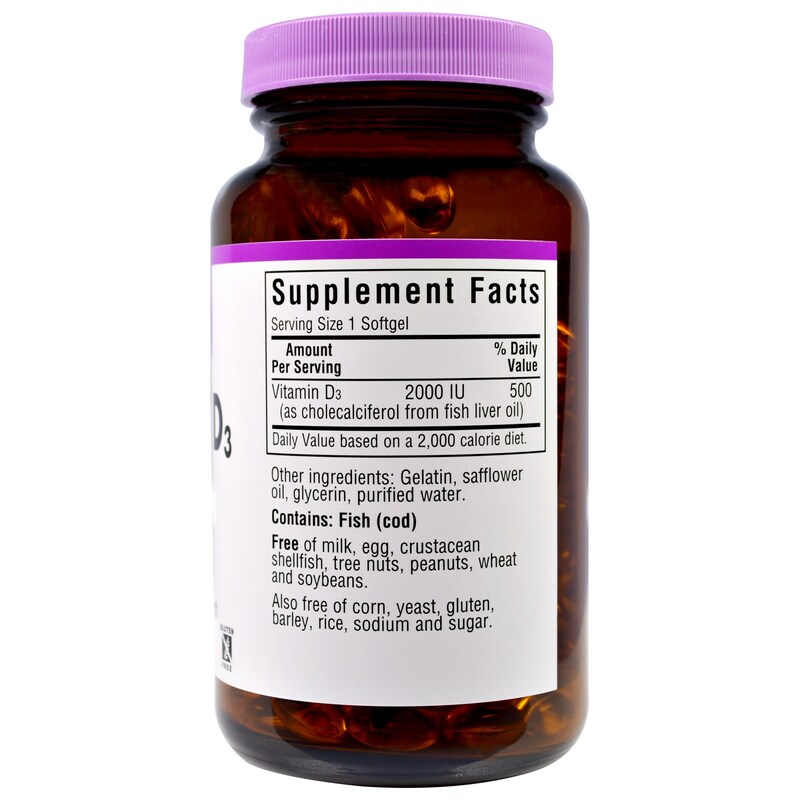 Gelatin, safflower oil, glycerin, purified water. Free of milk, egg, crustacean shellfish, tree nuts, peanuts, wheat and soybeans.